Praise the Lord. If you have your Bibles with you, please turn with me to Matthew 24. I am reading from the 36th verse down. There were actually three questions that the disciples asked Jesus at the beginning of this chapter, there wasn’t just one. “When shall these things be?” “What shall be the sign of Thy coming?” “What shall be the sign of the end of the world?” Jesus answered and at the very beginning began by talking about the temple. He said that not one stone would be left upon a stone. 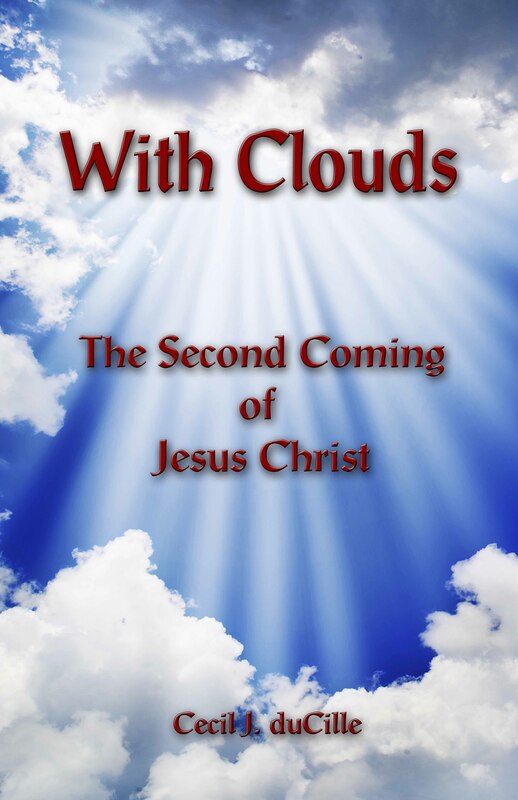 Then He goes on and He tells about the signs that will come before the coming of the Son of man. He answered these and He is talking now to his disciples; and the strangest thing is that He tells them that there is going to be a similarity (something similar) about the days of His coming (if not exactly the same) as it was in the days of Noah. I guess that the best way to understand what happened in the days of Noah is to read some of the happenings that took place. So turn with me to Genesis 6 and we will read the first verse down to about the 6th or 7th and then we will skip down to about the 12th or 13th verse. What were the conditions? What was happening in the days of Noah? What was taking place there? He did not say, “As in the days of Sodom and Gomorrah”; He did not say, “As in the days of Nineveh,” but He said “As it was in the days of Noah.” (Luke 17:26). So there are going to be some things that are similar. There are things that happened in the days of Noah right before the flood that are similar or exactly the same as what is going to happen in the days of the coming of the Son of man. And of course, He tells Noah to begin to build an ark; and that is exactly what Noah begins to do. So what was happening here? What was actually taking place? Well, as we read in a clearer version of what was taking place, there was not only immorality, but there was violence to such a degree that killing was the order of the day. And if there was something that you wanted from you neighbor in those days, you just took it! Whether it was a possession, or a wife, or whatever it was! There was no respect, whatsoever—for men—for women—for property! There was no respect whatsoever! He was not talking about the enemy. We know what the enemy did. But he said, “They became just like beasts.” He said, “They went in and they slaughtered and they killed children, they killed the women, they killed the men. They raped and they did the same things that the enemy did.” He said, “There were a lot of drugs going on in Vietnam, probably a lot more than what people realize.” It wasn’t just an alcoholic thing, it was drugs. You know, you have to think, when these terrible atrocities take place, even these terrible murders that we read about in the papers sometimes. You wonder, how could a man or a woman do such a thing? I mean, how could they? You know, this fellow from Wisconsin? Of course being from Wisconsin, we read about it and we heard about it every day on the news. Please remind me of his name? Maybe it will come to me. That’s it, “Jeffrey Dahmer.” He was cannibalistic. He not only killed the people, but he ate them. This actually happened in this twentieth century! You would not think that something like that would ever take place. It started when he was very young and I am sure that a spirit possessed the man. I do not think a human being could do any of these terrible, terrible things without an evil spirit possessing his mind and probably even his whole body. But these things took place in OUR generation! This really happened! You know, if you talk to the detectives and the police that are on homicide, they do not even want to talk about details. They said that some of these things, these terrible things that happened, they do not even release it to the news because it is so terrible. Now what possesses men and women to do such terrible things? How can a woman kill her children? How can they drown them? How can she smother them to death? How can they beat their head against the wall? How can men do that? You see then, that there has to be evil spirits and that is exactly what was happening “in the days of Noah.” The evil spirits, the spirits of darkness, had so possessed the people in their minds that is says that their imagination was “only evil continually”. That means that every single moment of the day (every 24-hour period, 7 days a week, 365 days out of the year) they were thinking evil constantly—from the moment they awakened in the morning to the time that they went to sleep in the evening hour. There was terrible violence that took place in that day and we are getting there today. Worse, if not just as bad is taking place in our generation. It actually is happening and it happened there before in Noah’s day. It got so terrible that God said, ‘I am sorry that I made man. I am sorry that I created him.’ (Genesis 6:6). And that is really saying something, saints, when our Creator looks at mankind and says that. Man had degraded himself and that is what is says. He had degraded himself to such a state that they were as low as the beast and worse than the beast. Sometimes, at least, the beast won’t hurt their own. But they were hurting their own. They were killing. There was no respect. There was no honor. There was no respect whatsoever; no kindness—nothing! It was just a time of violence and it continued. So God found one man named Noah. And that is exactly what happened, for the Bible says that God spoke to Noah and He said, “I want you to build an ark.” (Genesis 6:13-14). Of course, Noah did not know what an ark was. And he did. It took Noah what? About 100 years? It was 120 years that he was a preacher of righteousness and all that time, every day the people would come. I think the children watched him. You know, when we were kids we wanted to watch the boats come in. I lived in Wisconsin near the Great Lakes, by Lake Michigan. We liked to watch the big coal boats come in and go. It was just the thing for kids. So I am sure that this was a big thing for them. They just sat and watched and some of them laughter; and I don’t know, maybe even threw stones at Noah. You know how children are. “There were eight that were saved.” (Genesis 6:18; 1 Peter 3:20). That is what the Bible says, that there were eight that were saved. But He also spared two of each kind of the animals. I got to thinking about that and how were they brought into the ark. Of course the ark had three levels. They had the lower level, which is where the beasts went. They did not come to the second level. They stayed in the lower level. And I wondered, it does not say anything about all of these as being pets, you know—these lions and tigers and bears; they had serpents in there, too. It said “creeping things.” They had two of them; some of them were poisonous. Two snakes, two turtles and they had crocodiles in there; but not of them fought among themselves. None of them attacked Noah or his family. Not one of them. I do not think they went and petted them. I do not think that at night, or in the day, that Noah and his family said, “Let’s just go down and pet these lovely animals.” I do not think that they did that at all. But god brought them in, two by twos and I am sure that it took days and days to get all of these animals into the ark. Then we have the second level and of course, that was where they stored the food. They had food and provisions for the forty days and longer. They had to store a certain amount of grain and food and what not, so that they could eat for those forty days and those forty nights. Then there was a top level. They had access to the top level. But the thing about the top level, there was a “window”. You know, when it says that god made a “window” you immediately thin of a window with glass in it. It did not have a window with glass in it. That is not the way it was. It was a covered thing. It was actually covered and they could somehow open it. I do not know what the apparatus was because I wasn’t there, but somehow they could open the top of that and they could see out. Now of course, when it rained it was closed. 14 “Make thee an ark of gopher wood; rooms shalt thou make in the ark, and shalt PITCH IT WITHIN AND WITHOUT WITH PITCH. 15 “And this is the fashion which thou shalt make of it: The length of the ark shall be three hundred cubits, and the breadth of it fifty cubits, and the height of it thirty cubits. 16 “A WINDOW shalt thou make to the ark, and in a cubit shalt thou finish it above; and the door of the ark shalt thou set in the side thereof; WITH LOWER, SECOND, AND THIRD STORIES SHALT THOU MAKE IT. So you say, “Why did God speak to you about Noah and the ark?” Well, you know, the Old Testament is full of types and shadows; and I think that you all know what a type or shadow is. I do not have to go into that. But there was something He was trying to illustrate to me and speak to me; and in the language that I would understand. Are you following what I am saying? He does not talk to us in Hebrew or Greek or some other foreign language. Maybe to the Greeks He talks Greek, but to us He talks in our language. And He shows us things that we will understand and we can recognize. So God began to speak to me and I did not fully understand at the time what He was saying. Actually the vision came first and then the Word; and then the Word and the vision were together. The Lord showed me and spoke to me many things and I have already shared some of those things with you here, but there came another day when the Lord showed me more. I awoke that day and I saw a very, very strange thing. When I looked out in the Spirit, I saw MULTITUDES OF PEOPLE. I saw CHURCHES of about every description that you can imagine. They were just all over. I saw the steeples and they had the cross on them and so I knew that it was Christian and that it was not the Muslims or anything of that sort, or a Jewish synagogue. But it was Christian, because I saw the cross. He said one word. He said, “ICHABOD.” (#350 in the Strong’s: “no glory”. “The Spirit had departed.” It had left the churches. It had left the people. I saw this and I wondered at it; and I said, “Lord, what is this? What is happening?” And of course, knowing what it means: “Ichabod” means that the Spirit has departed. It is the “sealing” of the people. It is happening NOW. It is not something that is going to happen. It is happening now! It is taking place; and that is when I got back to the ark—because it was sealed, saints. It was sealed from within; it was sealed from without. There was one door and that door—God shut the door. Noah had nothing to do with the door. He didn’t touch the door. It says that GOD shut the door, (Genesis 7:16). And the door was sealed as well, saints. That means that no water could come in; no water could go out. Nothing could go out. Do you understand? And those waters, those flood waters were not waters of revival; they were not waters of blessing. They were waters of “judgment.” The ark represents CHRIST. It says, “If any man be IN CHRIST….” (2 Corinthians 5:17). What does it mean, “in Christ”? I think we all get the idea, you know, that we are always in Christ; that we are “always” in Him. No, we are not! Sometimes we are in Adam. Sometimes we are walking in the “soulish” part of our being and we are not walking in Christ. We are not walking in light because, “If we walk in the light as He is in the light, we have fellowship one with another.” (1 John 1:7). So then only as we walk in light and as we walk in obedience that we are walking “in Christ.” Are you following what I am saying? “Who shall deliver me from this body, from this BODY OF DEATH?” (Romans 7:24). He is not talking about “us” (as a body) but he is talking about THIS body (our flesh: “this body of death”)! Do you understand what he is saying? “If you abide in Me and if My Word ABIDES in you….” (John 15:7). That is the condition. If the Word of God “abides” in us, that means that His law is written upon our hearts. If His Word is “abiding” in us, then we are walking in obedience to His Word and in obedience to His voice. “Abiding” means we are “agreeing” with it. You cannot abide if you are not agreeing. “How can two walk together, except they agree?” (Amos 3:3). It is either, “God, I receive gladly Your Word,” or you reject it. We either accept or reject. Do you understand? It is already taking place! Not “going to,” not tomorrow; not a hundred years from now—it is already taking place! There are those that are ALREADY sealed; and that is very frightening! Because there is always the tendency (at least there is with me, I do not know about you) that you are always thinking that it is something that is ahead; you are always thinking that it is something that is “coming”. And this was just the beginning of what God was going to show me—just the beginning! Amen! Do you remember (in the earlier meeting) I said that I felt that I was in “hostile” country? Why? THE SPIRIT OF GOD LIFTING? In the days of Noah there was just violence in the earth and “as it was then so shall it be.” They did not know and they did not believe until the flood came and then it was too late! (Matthew 24:37-39). IT IS ALWAYS TOO LATE, SAINTS, WHEN WE PUT OFF WHAT WE SHOULD DO NOW (TODAY), IN SEARCHING FOR GOD AND OBEYING GOD! DO NOT PUT IT OFF FOR ANOTHER DAY! If there is something in our heart or in our life that is wrong and we know that it is wrong—something that we have to make right with God or make right with our brother—YOU HAD BETTER DO IT NOW! You had better do it now, because there is no more time left. Time shall be no more. There is not going to be that time where you can go and you can hear the Bible teachers tell you what is going to happen and what is going to be happening soon. It is not going to be anymore. It is not going to be a byword. It is now! It is now! Isn’t that what John did? He said, “Repent! For the Kingdom of God is at hand!” (Matthew 3:1-2). Because I realized that I was not thinking about you then. I wasn’t thinking about the church or the body of Christ. I was thinking about my own soul! I was thinking about “myself” making it in! Do you follow what I am saying? I have been preaching some forty-eight years. I have seen healings and miracles and deliverance and all of those things. I have seen people saved and filled with the Spirit and deliverances; and in my own self, healings and miracles. And saints, now it meant NOTHING! It meant nothing now! For what I saw, I was confronted with ETERNITY! “THESE SHALL BE MY WITNESSES IN THIS LATTER DAY.” (Revelation 11:3-12). So if we are going to see light, we are going to see it in His sons. If we are going to see deliverance, we are going to see it in His sons. Just pray to God that you are a son. The world is going to see His light, His truth, in His Sons, just like they saw it in Jesus. Now they are going to see it in a corporate body! Hallelujah! In such an outpouring! Although the Spirit went up, now it came down, but now in a double portion. And in such energy and such power that they could not take their lives, they could not kill them. Amen! What about those “two witnesses” (in Revelation 11)? They could not kill them. Amen. They thought they had killed them but they weren’t dead. Why? It is because the resurrection life in them was so great that they were raised up! Man will NOT be able to destroy this witness! Hallelujah! Hallelujah! But I will tell you something, saints. The ones that I saw, I saw scars on them and cuts and bruises. They had been cut and bruised. They had been chastened and scourged; and the scars were on them. They were on every one of them that were filled with that double portion. Now they are not going to get just another touch. This was different, what God was showing me. It was the “fulness.” It was “the fulness of the Godhead bodily” (Colossians 2-9) and it was coming into these vessels. “For we know IN PART and we prophesy IN PART, but when that which is perfect is come, when that which is complete, when that which is FULL is come (then that which is IN PART shall be done away).” (1 Corinthians 13:9-10). “Oh God, SAVE MY SOUL! DELIVER ME from the body of this death!” (Romans 7:24). How terrible that would be! I just imagined that for a moment of how terrible it would be to have His Spirit depart, to lift. That would be a terrible thing! Well, I will tell you, we do not know much about the four hundred silent years, (those four hundred years or so just prior to when Jesus Christ came, of which there is no record in the Bible). I was looking that up just this morning. If you have a Thompson Chain Bible it is very easy. It talks about “the silent years.” It talks about what happened. Of course there were the Macabees and there were a lot of things that happened, but there was nothing written of this time period that was DIVINELY INSPIRED that we know of. Are you following me? I did not say that nothing could have happened, but if it is divinely recorded we do not know about it. Are you following me? Four hundred years! There was civilization and there were things taking place, but it is not recorded (in the Bible). There was nothing divinely inspired in it. That’s right. That’s right. The voice of the prophet was not heard! Four hundred years, saints! So you see, saints, these things can happen. But let us go on. First I saw multitudes of people and not only did I see this grouping of people, but I saw this “WHITE MIST.” That is the only way I can describe it. And it went up; just like a cloud it went up and I did not know what it was. And it went up from the for groups; it went up from people; it went up from churches—it just went up. I said, “What meanest this?” and the Lord just said, “ICHOBOD” (the Spirit hath departed). You are left alone and the only way you are going to go through it is by giving your life. That is the only way now that you are going to go through it. How many know that when the Spirit of God is departed, that the only way we or anyone are going to get into God is through persecution and by giving our life as a martyr? The holocaust! They were waiting: it was just a holding place and where they went from there I do not know. Whether they were killed or beaten, I do not know, but I know that it was just a holding place. There was weeping, there was crying; there were children and there were moms and dads and there were the aged. They were all together in this large grouping and they were being guarded. They could not go where they wanted to go. This barbed wire kept them intact and this was a huge place. I could not number them, for there were so many of them. Friends, I believe that at the same time persecution is going to arise. Now there has been persecution taking place for a long time. Not here in America, (at least) not at all like you see in places like Northern Nigeria. The Muslims have killed; they have come and raided many times and killed the Christian people and burned their homes and killed their little children. Yes! That has been taking place. You hear of stories from all around the world of persecution, in Africa and other places where Christians have been killed, actually killed; and they have given their lives for the sake of the gospel. But now, saints, this is going to be a “universal” thing. It is not just going to be where you only hear about it. It is going to happen right here in America. You say, “How could this ever happen?” Well, when the Spirit of God lifts, anything can happen—for all that is left is the “carnality” of man, (Galatians 5:16-23). All that is left is the “soulish” part of man. In our soul are greed and anger and malice and hatred and all of these other things. That is exactly what is going to take place. So they were herded into one place. It was a kind of waiting place. All that I could hear was weeping and sobbing and crying and wailing. That is all that I could hear coming from those thousands (and probably tens of thousands of people) because of this persecution. They are going to be martyred and the blood will flow as much as to the horse’s bridle! (Revelation 14:20). Oh yes! That was all in this vision that I saw as well. So we see that the killing will come. It is because there is no conviction of the Holy Ghost any more. There is no comfort of the Holy Ghost. Now the only way to see it is in the sons of god that have overcome; and through them will come the Word of truth; through them will come the life of God. But it is not going to be just “here, there and everywhere” anymore. They will be witnesses. Oh yes, God will have a witness. And then, not the very last, but one of the last things that I saw was a HUGE DOOR. It was high; I could not tell how high it reached. It was a huge door and the door was overlaid with gold and in the door it had a design and I thought that the design was like a vine; and on the vine I thought that there were like grapes of some kind of fruit that was growing and these were gold. There comes a time when God says, “Enough!” and He shuts the door. But I saw that it was still opened, but not much. I am saying (this much)….. Yes, about eight or ten inches. It was something like that and there was light coming out of it. There was still light and there was heavenly music, heavenly singing, that was coming out of the door. Of course, the first reaction was to rejoice! Naturally, you know, when the presence and the glory of God is there and with the singing of the saints—My, who wouldn’t rejoice? “How come it is only opened that much?” How would I get through? How would anyone get through? You cannot! Flesh and blood cannot enter the kingdom! This is the day of “the end of all flesh.” (Genesis 6:13). The flesh is not going to be spared! Nothing about the natural man is going to be spared! So we will not be able to enter in through the gate. We will not be able to enter in through that door, friends, except in the Spirit. We have to be CHANGED! The rest were not changed. Are you following what I am saying? The ones that were left outside, who had not entered in—they were not changed! Everyone wants to “fly away some glad morning,” but in the days of Noah it was the WICKED that were taken away. Saints, I am still following the Scriptures, I am not out of the Word. I am not fantasizing anything; I am right in the Word. Amen. So in the days of Noah it was the wicked who were destroyed and the righteous who were spared (but only those in the ark). Only those in the ark! Only those in Christ! When you are in Christ and you are sealed, you cannot go out and nothing can come in. You are sealed! You are in that place, you are in that position. GOD puts us in that position! I trust and I hope that that is where we are. And I hope and I trust that that is where God is putting you and me. I do not know your heart; that is something that you have to decide yourself. I cannot decide that. I know one thing, I know that God made it very plain and very clear to me. I have so many scriptures. I am not going to finish all of them today. Can you imagine that midnight hour and what happened in the land of Egypt—the screaming, the hollering? A lot of you are mothers: can you imagine your little one that is the first-born dying? The one that you love! Maybe they are twelve years old, or maybe they have grown into manhood, I don’t know? But you see them die, just like that? They just keel over and die: your husband (if he was the first-born); your wife (if she was the first-born)—they DIED! ALL OF THEM DIED! And the Israelites that did not obey, they would die (if they went outside of the covering of the blood). There was a sealing. Yes there was! It was a “seal.” Call it what you want to call it. It was a covering, but it was a seal too, upon the lintels and the posts. “When I see the blood, I will pass over you.” (Exodus 12:13). Didn’t he (the angel) say that toe Zechariah? (Luke 1:19-20). Saints, you can pray all you want but you will not change an angel’s course. You will not! You will not deter them. You will not get them interested in you. They are like guided missiles, they know one thing and that is, “Obey the Lord!” Obey the Master! Obey My Father! YOU HAVE TO DO IT NOW! “THE KING’S BUSINESS DEMANDS HASTE”! When the Lord speaks to you to do something, do not do it another time, another season. Id He says pray—pray NOW! If He says to fast—fast NOW! IF He says go witness to that neighbor that you do not like and you do not want to do it—DO IT NOW! Don’t you wait another week or another month! IT IS TOO LATE! When the Lord says something, He means NOW! “He is a present help (a PRESENT help) in the time of need.” (Psalm 46:1). With God, it is NOW! IT IS ALWAYS NOW! He is not the “I will be,” or the “I was,” He is the “I AM”! YOU HAD BETTER DO IT NOW! Don’t you wait for another week or another month! You do it now! YOU HAD BETTER DO IT NOW! You may not have another month to live. You say, “Oh, don’t be so silly.” Oh yes! Someone saw the death angel and some folks dying. I know I had seen this and I know others have and we lost Tommy Cook, a good brother. We lost Rod Johnson, another good brother. We lost Janet, another good sister. Come on saints? Just like this—one, two, three—and they were gone! And we are going to see a whole lot more who will surprisingly be gone from our midst. Amen. So the Lord showed me this and the good part is that the door is still open. It wasn’t wide open, but it was open enough that light was still coming out. But the bad part of it is that the Spirit had lifted. So where was that light coming to? It was going to the SONS! It was coming to the SONS! Amen! I believe that God is going to have a people; a Sonship; a priesthood—whatever phraseology that you want. God is going to have a remnant and in them is going to be the fulness of the Godhead bodily. THE FULNESS OF CHRIST is going to be in them! (Ephesians 4:13). Do not keep putting it off for the next time—next time—next time! Because there may not be a next time! Amen! What was God saying to us in all of this? Well, let me read a few more things. There are many scriptures that talk about the seal. I am not just grabbing them out of the sky somewhere, but there are the seals. But let us look at 1 Peter 4:17-19 and 2 Peter 2:4-10. 17 “FOR THE TIME IS COME THAT JUDGMENT MUST BEGIN AT THE HOUSE OF GOD: AND IF IT FIRST BEGIN WITH US, WHAT SHALL THE END BE OF THEM THAT OBEY NOT THE GOSPEL OF GOD? 18 “AND IF THE RIGHTEOUS SCARCELY BE SAVED, WHERE SHALL THE UNGODLY AND THE SINNER APPEAR? 19 “Wherefore let them that suffer according to the will of god commit the keeping of their souls to him in well doing, as unto a faithful Creator. 10 “But chiefly them that walk after the flesh in the lust of uncleanness, and despise government. Presumptuous are they, self-willed, they are not afraid to speak evil of dignities. YOU CANNOT REST IN THAT! You cannot rest in an experience that you had twenty years ago. That’s right, but where are you today? Where are we today? Are we walking in light? Are we walking in truth? Are we walking in righteousness? If not, saints, we are in trouble; we are in BIG trouble! It is DAILY picking up our cross; DAILY dying with Christ! Amen! It is not something that we do occasionally. We get a little persecution and we think we have really gone through something. We haven’t gone through anything as yet! Did I read Hebrews 11:7? Well, I think I should read that. So only Noah and his family, eight persons were saved; that is all of that generation that we know of, that was saved. Amen! Let us go to 2 Corinthians 1:22. “The down payment”! How many understand the “down payment”? The “earnest”? How many know what a down payment is? It means that you don’t have the whole amount. You don’t have the whole magilla. You have a deposit, but you don’t have the magilla. You do not have the whole amount. (You are laughing at “Magilla”.) I do use funny language, brothers, so you will have to forgive me. I think I picked that up when I was working with the “hippies” years ago. Amen. I never did get over it. 14 “Which is THE EARNEST of our inheritance until the redemption of the purchased possession, unto the praise of His glory. How many know what “earnest money” is? Yes, it is the down payment. If you go to buy a house or a car, a lot of them want “earnest money.” They want a down payment. Of course, even sometimes when you lease a house, they have what they call a “deposit,” and that shows your sincerity; that you are really going to buy; that you are really interested. So God is really interested in us and He invested in us and He makes a down payment. Do you understand? “Predestination.” Let me give you the interpretation that I feel that the Lord had given me. Predestination is that you have a “pre-destined” course set for you. God has arranged steps for us to take before we take them. Are you following me? That is according to the “foreknowledge” of God. (Romans 8:29; 1 Peter 1:2;). Now, “predestination” means that the Titanic left Liverpool on a destined course. It was destined for New York. It never made it. It hit an iceberg and sunk on its maiden voyage. You know a lot of people boasted about this ship. They said that it was unsinkable. Some of the help even said that “God” couldn’t even sink it. And it sunk! Why? And what was it, 1800 went down? Or was it 1800 that were saved? It was on or the other. There were thousands that lost their lives. It did not make it to its destination, because it hit an iceberg. We are destined to become sons of God. We have been adopted and accepted into the beloved of God. Oh yes! And He has a destination for you and me. Oh yes! And that is for us to become OVERCOMING SONS OF GOD! Each one of us! But we can sink! We can hit an iceberg somewhere along the way and never make it! Oh yes! Are you following me? You see, predestination means that God has set a predestined course for us. But whether or not we make it to that destination depends on us. He has given the earnest, the down payment, the deposit—but a lot depends on our attitude! There is that condition. So if anybody comes along and teaches that no matter what, we are still the honeys of God and we are still going to make it, don’t you dare believe them! Amen! Nevertheless, to sum this up, what is God saying to us and through us for the body? He was saying that it is later than what we think. He was saying that the door was still open, just a crack. He was saying there are many that are already sealed—and that is scary. They are ready, they are “sealed” by God. They are IN! They have made it! “God, You can’t do that. These are Your people. Rather blot my name out of the Book of Life.” (Exodus 32:32). How did Moses know that his name was in the Book of Life? Well, maybe if you had been forty days and forty nights up in the mountains with God you would know something too. Moses was up in the mountains with God and there was more than just getting the Ten Commandments. Moses, we know, at least it is recorded, that he wrote the Book of Genesis. That means he saw the whole work of creation. He saw God doing it. Oh, Glory to God! He SAW the Lord actually doing it! Calling the waters forth. Making the dry land appear. Making the stars, the sun and the moon. He SAW that happening! And he was in the Book of Life. “I KNOW that there is a crown (of righteousness) waiting for me.” (2 Timothy 4:8). Oh Hallelujah! Come on Saints! If we are not sure, then there is something wrong with our walk. If we are rather shaky, there is something wrong with our experience. I think that we can know in Whom we have believed in and that He is keeping everything that we have committed unto Him against that day. (2 Timothy 1:12). There is a “knowing” God and there is a “knowing about” God—we had better “know” God! We had better know Him when all hell breaks loose. Saints, we had better know Him when the floods come and the earthquakes come. We had better know Him when His Spirit is lifted—we had better be in the inner circle with God! Hallelujah! Amen! Because if we are not, we are going to be on the outside! And if you don’t think that there were people pounding on that ark—-“LET ME IN!” “LET ME IN!” “LET ME IN!” It was too late! God shut the door! Noah didn’t shut the door. He didn’t have anything to do with that. God shut the door. There comes a time when God says that enough is enough is enough! He is slow to anger, but when He waxes His anger hot, look out, saints! Amen! He is going to judge! He is going to correct! And whether or not you like to hear of that correction or judgment, it is still true anyway. You and I have nothing to fear as long as we are “walking in the light,” and that means obedience to everything that He tells us to do and not to do. Oh, I trust that this word stirs your pure minds in Christ! I trust that this stirs up the Holy Ghost in you. I am not the only one that you are going to hear these things coming from. Oh no, saints! There are many, many in the body of Christ and many servants of God who are going to be saying the same thing. Maybe in different words, maybe with a little different approach, but they will be saying the same thing!